For it's unique colors! As for the color A and color B, the appearance of the pattern is like two beautiful feathers, purple and pink, very delicate! When it refers to the color C, D and E, they looks Like oil painting, or blue sea water, Feels cool and relaxing! 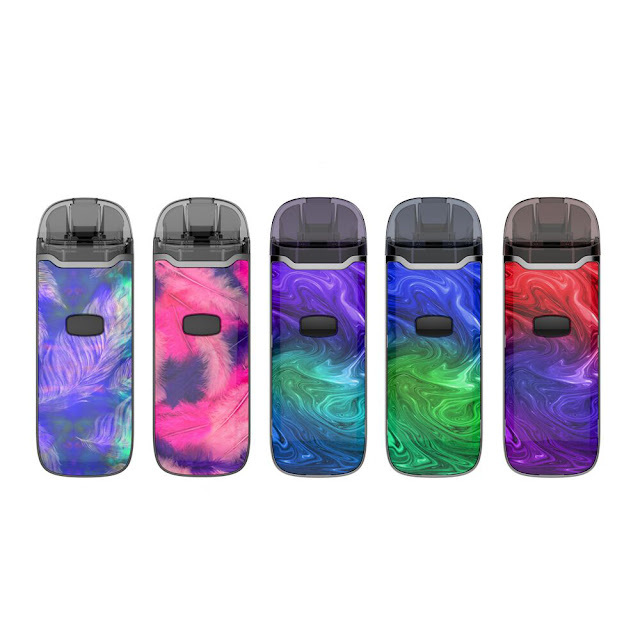 Well, as the aspect of it's functon, the V-Pod Vape Kit works with 1200mAh battery, and adopts 1.0ohm lowest resistance as well 2ml pod capacity. In a word, It is compact and portable, which easy to put in hands and in the pocket.